WASHINGTON (Sputnik) - US President Donald Trump said on Thursday that he was willing to cooperate with the Democratic Party on a Funding Bill that would be beneficial for the country. "Important meeting today on Border Security with Republican and Democrat Leaders in Congress. Both parties must work together to pass a Funding Bill that protects this Nation and its people – this is the first and most important duty of government… I remain ready and willing to work with Democrats to pass a bill that secures our borders, supports the agents and officers on the ground, and keeps America Safe," Trump posted on Twitter. …I remain ready and willing to work with Democrats to pass a bill that secures our borders, supports the agents and officers on the ground, and keeps America Safe. Let’s get it done! On Wednesday, Trump held a meeting with Republican and Democratic leaders amid a partial shutdown of the federal government to discuss the security situation at the US-Mexican border. He reiterated that the shutdown could continue for long if it was necessary, repeating his call on the Democrats to support the construction of a wall on the border and putting blame for the shutdown on them. The shutdown triggered by disputes over wall funding has been continuing since December 22, 2018. While Trump is demanding to allocate more than $5 billion for the construction of the wall, Democratic lawmakers along with some Republicans have refused to meet the demand, and many have noted that the president had previously promised that Mexico would pay for the wall. 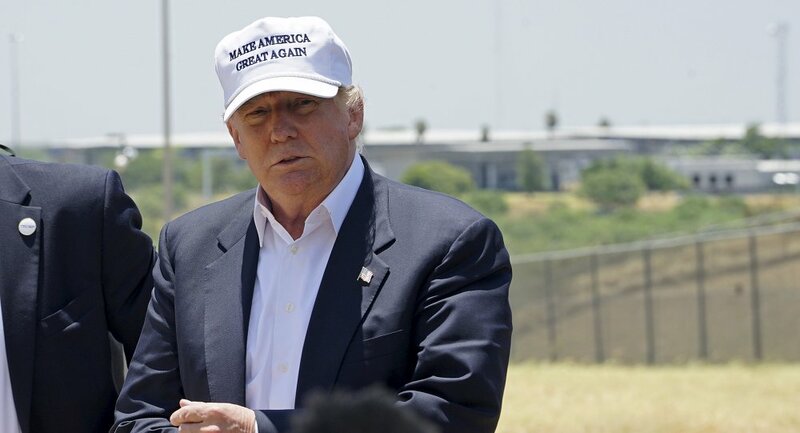 The US president has already rejected a deal from the Democrats that included some $1.6 billion for border security.